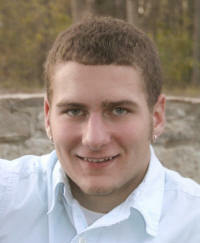 Justin R. Haar, 21, of Beckemeyer, died Sunday, May 24, 2009 in Bond County, IL. Mr. Haar was born February 22, 1988 in Centralia, IL to Pamela (nee Gross) Haar and Michael Haar. Surviving is his mother, Pamela (dearest friend Chuck Kohlmann) Haar of Beckemeyer; father, Michael (dearest friend Linda Holtgrave) Haar of Beckemeyer; brothers, Josh (fiancée Katrina Koehler) Haar of Beckemeyer and Jeremy (dearest friend Gina Athmer) Haar of Aviston; a nephew, Conlan Haar; Maternal Grandmother, Gail (nee Southers) Gross of Beckemeyer; his girlfriend, Casey Athmer of Damiansville; and numerous aunts, uncles, cousins and friends. He was preceded in death by his Maternal Grandfather, Leonard Gross and his Paternal Grandparents, Joseph and Mildred (nee Burger) Haar. Justin was a fabricator with D & K Customs in Carlyle and also worked construction for Tim Heimann Construction in Albers. He enjoyed playing softball and hanging out with his family and friends. Funeral Services will be Wednesday, May 27, 2009 at 10:00 AM at the Moss Funeral Home in Breese with Rev. Lisa Hart officiating. Interment will follow in Beckemeyer Cemetery. Visitation will be Tuesday, May 26, 2009 from 4:00-9:00 PM and again on Wednesday, May 27, 2009 from 8:00-9:45 AM at the Moss Funeral home in Breese.